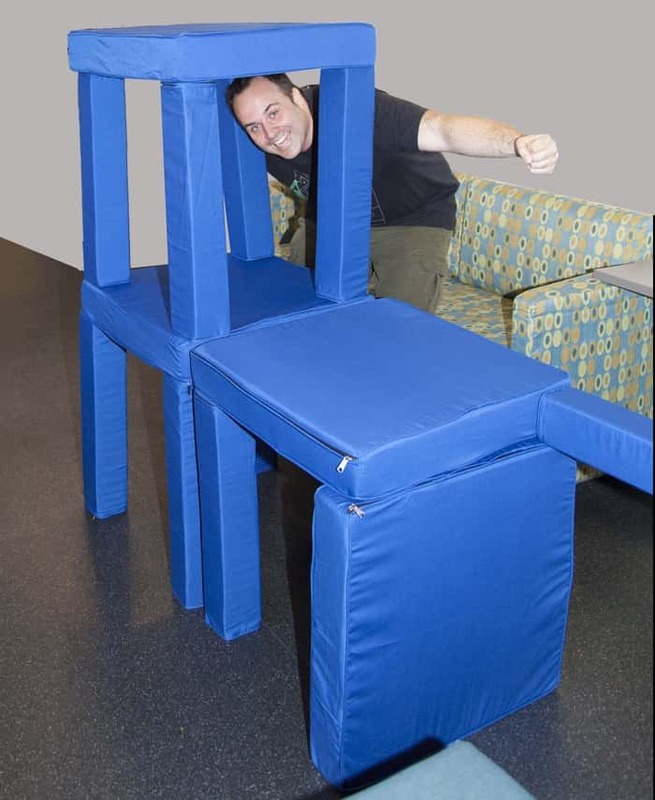 Meet Squishy Forts ... the worlds first pillow fort construction kit designed by Australian Ross Currie. Building pillow forts or cubbies is certainly not a new activity, children have been doing it for a long time. It is likely that you remember doing something similar when you were a kid yourself. Creative play such as designing and building forts like this provides inspiration for young minds. 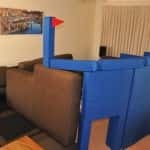 The Pillow Fort Construction Kit makes it possible for children to use their imaginations to build cool stuff without destroying the furniture! Squishy Forts are so much fun that you may in fact want one for yourself! Satisfy your inner child by building your own cool stuff! 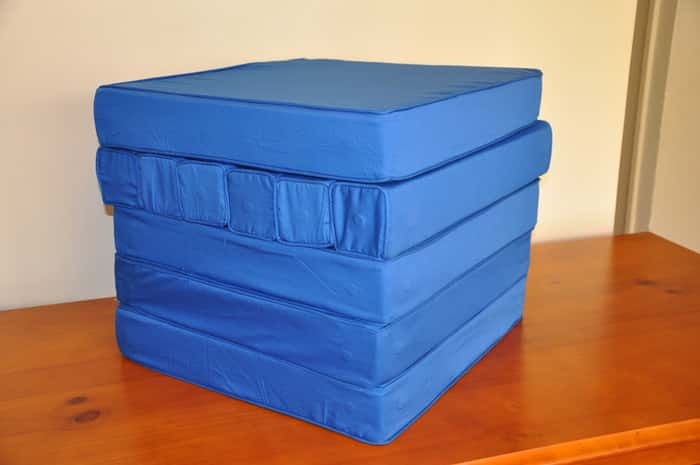 When you have finished playing with the Squishy Fort blocks you can pack them away neatly into the square container. This is not just a toy for children it is also a very useful furniture product. 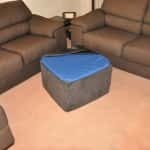 When the blocks are packed into the container it can be used as a foot stool or a seat. There are three different construction sets to choose from, these include basic, advanced and ultimate. You can build castles, forts or anything you choose ... the only limit is your imagination! 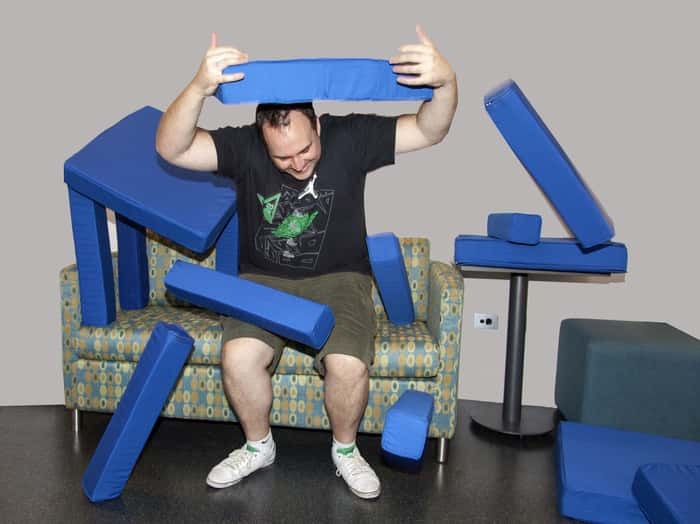 Unleash your inner pillow fort architect, so much fun! 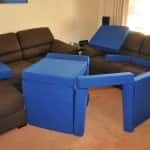 Squishy Fort - Pillow Fort Construction Kits is one of the first Australian project to be run on Kickstarter. 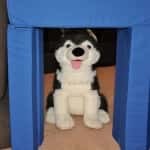 You can check out the project and show your support for this innovative idea here >> Squishy Forts - Pillow Fort Construction Kits or read the Press Release for more information.